Anita Ekberg, the Swedish-born blonde bombshell most famous for starring in Frederico Fellini’s La Dolce Vita, has died. Confirmation of Ekberg’s death came from her lawyer, Patrizia Ubaldi, who said that Anita had died in Rome on Sunday morning following a series of illnesses. Reportedly, Ekberg had been hospitalized most recently right after Christmas. Ubaldi said Anita had lost some optimism in the hospital. Anita Ekberg had resided in Italy for decades after her appearance in La Dolce Vita, when she captivated the world by taking an immortal dip clad in a black dress, her arms wide open. When she called out “Marcello” in the scene, the blonde bombshell became a legend. Anita was born in Malmö, Skåne, on September 29, 1931. She was the sixth of eight children and the eldest girl. In her teens, Ekberg worked as a model, and in 1950 she won the Miss Sweden beauty pageant. Representing Sweden, Anita went to America for the first time to appear in the Miss Universe Pageant. Ekberg didn’t win the pageant, but she did meet Howard Hughes. The eccentric millionaire wanted to put her in a movie, and wanted to change her name. 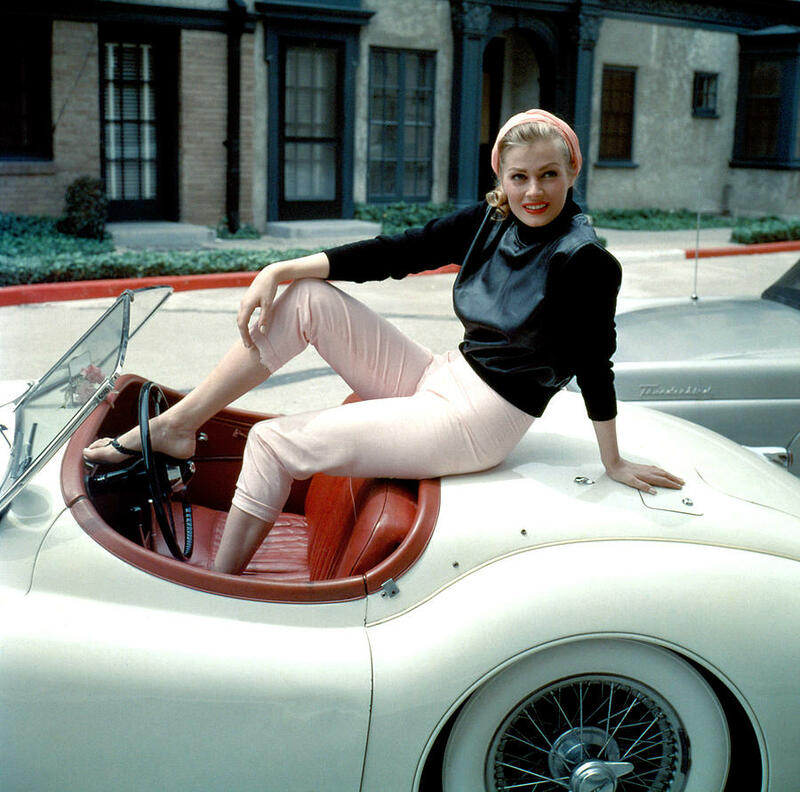 Anita refused, keeping Ekberg, but as a starlet for Universal Studios, she received lessons in drama, dancing, elocution, horseback riding, and fencing. In 1953, Anita made small appearances in Abbot and Costello Go To Mars and The Golden Blade. The blonde bombshell later admitted that she’d been “spoiled” by the studio system, and preferred riding horses in the Hollywood Hills to pursuing larger film roles. In the latter half of the 1950s, Anita starred in many films including War and Peace with Audrey Hepburn, Back from Eternity, Paris Holiday with Bob Hope and Screaming Mimi. In 1960, Anita Ekberg scored the role that would define her for the rest of her life. Frederico Fellini casted Ekberg as the “unattainable dream woman” in La Dolce Vita. In 2005, Anita recalled shooting her infamous fountain scene in the frigid Trevi Fountain in Rome in February. Ekberg was married twice, (both times to actors) but both ended in divorce. The first marriage being to Anthony Steel from 1956 to 1959, and the second to Rik van Nutter from 1963 to 1975. In an interview from 2006, Anita told a Swedish tabloid that her only regret in life was never having children. Anita Ekberg reportedly fell on hard times in later years. In 2011, it was reported that the bombshell was destitute after her home was robbed and set on fire while she was in the hospital. In a 2006 interview, Ekberg gave her thoughts on death. A funeral ceremony will be held in the coming days at a Lutheran church in Rome. Anita Ekberg will be cremated per her wishes.